Nice placesubmitted by Dennis B. - Feb 03, 2017 |Recommended: YesApartments are in good conditions, I like the share areas, carwash, gym, swimming pool, etc. Also people in the office is pretty efficient and friendly, always willing to help. Love it submitted by Quanchella C. - Jan 28, 2017 |Recommended: YesI love it here. Nice neighbors. The staff is helpful and amazing. They're always ready to help. Maintenance is awesome. Some of the maintenance guys help me when the see me and my daughter walking to dumpster they offer to take my trash for me. Everyone acknowledges each other from staff and neighbors with a smile and wave. I plan on living here for awhile. Love the location Everything from my banking, shopping, church, or car maintenance is near submitted by Bonita C. - Dec 01, 2016 |Recommended: YesI like living here. I moved here end of August and I have nothing to complain about. I feel safe, the grounds are well kept, noise level for an apartment is great. The noise that I may encounter once in awhile is no big deal. The staff in the leasing office is friendly and so is the maintenance staff. I like being able to walk to the grocery store or get my nails done for the exercise .. The neighbors that I have meet in passing all seems nice. 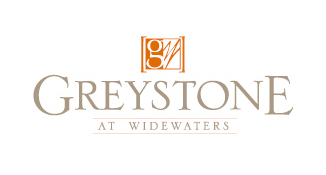 Great placesubmitted by Susan S. - Nov 13, 2016 |Recommended: YesGreystone is a very nice place to live. Noise isn't too bad, but I came from owning my own home so it's been an adjustment. For apartment living, the noise is not bad. The grounds are beautiful. The maintenance people are outstanding. I like the plantation blinds, the tall ceilings, the layout, the amenities, the covered entry way to the apartment door and the style of the buildings. Convenient, submitted by Brenda A. - Oct 27, 2016 |Recommended: YesIt is convenient to stores, the pool and the surrounding really is awesome as well as the weight room. Great place to livesubmitted by Evan D. - Oct 14, 2016 |Recommended: YesIt's quiet, and a much better value than other options in the area. Close to everything and with great neighbors. Very Good Property, No Major issues submitted by Brian M. - Oct 02, 2016 |Recommended: YesGood Property, Very Close to everything you need, Price is a little high. Besides the fact of one bad neighbor playing loud music, all is well. Fantasticsubmitted by Dane F. - Sep 21, 2016 |Recommended: YesIt's a great community, the apartments are very nice, and overall I think it's a great place to live. Great place to livesubmitted by Kyle B. - Sep 03, 2016 |Recommended: YesQuality staff and ammenities. Friendly safe Environmrntsubmitted by Marie D. - Aug 16, 2016 |Recommended: Yes I have an enjoyable experience living here. Staff and other residents are great to get along with. I would recommend this community to anyone looking for a new home. Great place to live. submitted by Stacey C. - Jul 29, 2016 |Recommended: YesI love living here. very quiet place, always clean. the office staff is very nice.